WASHINGTON — The Federal Communications Commission (FCC) is launching a “full investigation” into the false alarm that told Hawaii residents a ballistic missile threat was approaching, an error that sent the island into chaos. FCC Chairman Ajit Pai announced on Twitter Saturday afternoon that the FCC is looking into the matter. It’s unclear how long the investigation might take, and what it will entail. 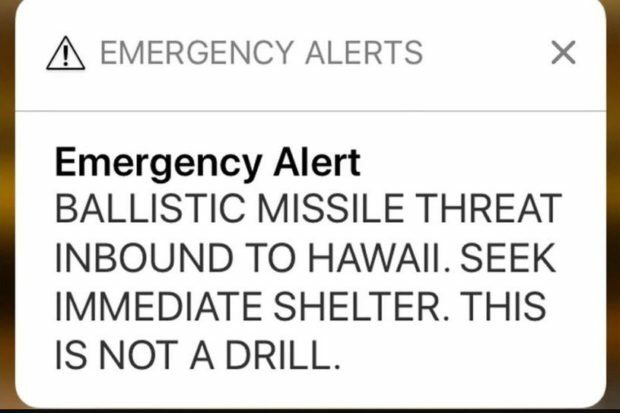 President Trump was golfing at his Florida course on Saturday, when Hawaii residents received an “Emergency Alert” that said: “BALLISTIC MISSILE THREAT INBOUND TO HAWAII. SEEK IMMEDIATE SHELTER. THIS IS NOT A DRILL.” It took 38 long minutes before residents in Hawaii received another alert clarifying the that the previous alert was incorrect, and they were not in danger.